Pinterest might be one of the newer player on the social media scene, but to think of it as an underdog is certainly a mistake. 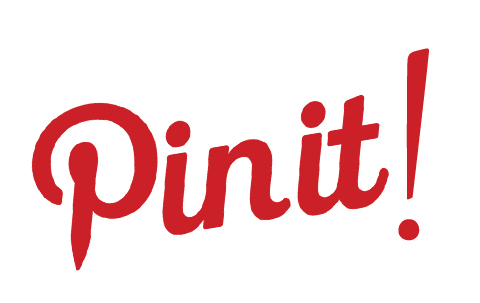 Often ranked the number three most influential social network online, Pinterest gains a large amount of interest and discussion all over the social media sphere. The site is only three years old, having launched in 2009, but already it’s become a major player, with more than one million users logging on every day to share their unique brand of content. Pinterest is primarily geared towards personal users, who log on to “pin” their favourite things like photos, recipes, ideas and whatever else they might be interested in. Even though the site has a personal focus, it’s absolutely true that there is huge value for marketers in establishing a Pinterest presence and using its massive user base to reach a huge audience. When you’re talking about marketing on Pinterest, you’re playing the same game as you are on every other social media network: trying to get your content as exposed and shared as possible. The way this happens on Pinterest is that users will see your content, have some connection with it, then “pin” it to their own personal account. Then, their friends will see it and maybe pin it again, and so the process continues exponentially until your audience has reached the maximum of its potential. The real beauty of a Pinterest “pin” is that it will link to an external reference, rather than being self-contained within the Pinterest universe itself. This means that every time something of yours gets pinned, and someone goes ahead and clicks on that pin, the traffic is driven straight back to external website, or wherever the content is hosted. This is a fantastic opportunity to drive traffic to a targeted location. All you need to do is generate interest, and when you do, you’ll immediately be rewarded with a flood of traffic straight to your site. If coupled with SEO or other marketing strategies – and if your content is good, huge traffic will come. It’s not hard to see why Pinterest is such a popular tool amongst serious marketers. As with every social network, there are ways of marketing yourself which will be successful, and ways which will not. The difference between success and failure on Pinterest lies with knowing how to get yourself out there and have people pinning your content without over-saturating your page with marketing and sales material. The interest in your content must be genuine, otherwise your audience won’t materialise. Success on Pinterest is just like success on the rest of the social media networks. You need to understand how to generate interest and engagement. On Pinterest, your board needs to stand out. It needs to have quality content and it needs to have a great, catchy name. Your content needs to be targeted and your overall strategy needs to be efficient and effective. At GetYourSiteRank, we understand what you need to make your Pinterest marketing campaign hugely successful. We’ve devised successful campaigns for a wide variety of different clients, and it’s what we’ve learned from our highly targeted refinement and optimisation process which makes us confident that we can deliver your campaign with success. With close ongoing management, we’ll launch and monitor your Pinterest presence, constantly updating and refining your content to make sure that it gets “pinned” as much as possible. Your audience will love the content we help you to create, leading to a sustained and organic growth of your user base and their engagement with your brand. Perhaps you don’t have the best idea what you’d like to put on your board. Or maybe you have a direction you’d like to head in, but you’re not totally sure what your board should look like. You might not be a graphic designer, but we are. We will help you to create infographics, images and highly engaging content which will send your marketing campaign round the world. Get in touch with GetYourSiteRank today. Fill in our form and let’s talk about how we can work together to launch your Pinterest presence. 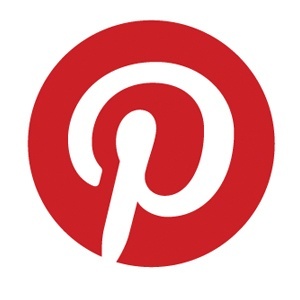 Explore Pinterest Marketing for Your Business. Pin Your Way to the Top.